Purchasing the best outdoor furniture is a serious business. Let me tell you why. First, it can be quite expensive. Second, if furniture selection is not your cup of tea, the odds would boil down to a messy outdoor decor. You would not want that, would you? There is not that much furniture design and feel in the market today that easily matches up to your artistic vision. If there are, chances are that these items can be too impractically expensive. But hold on! I do not want to end up being the enemy here. 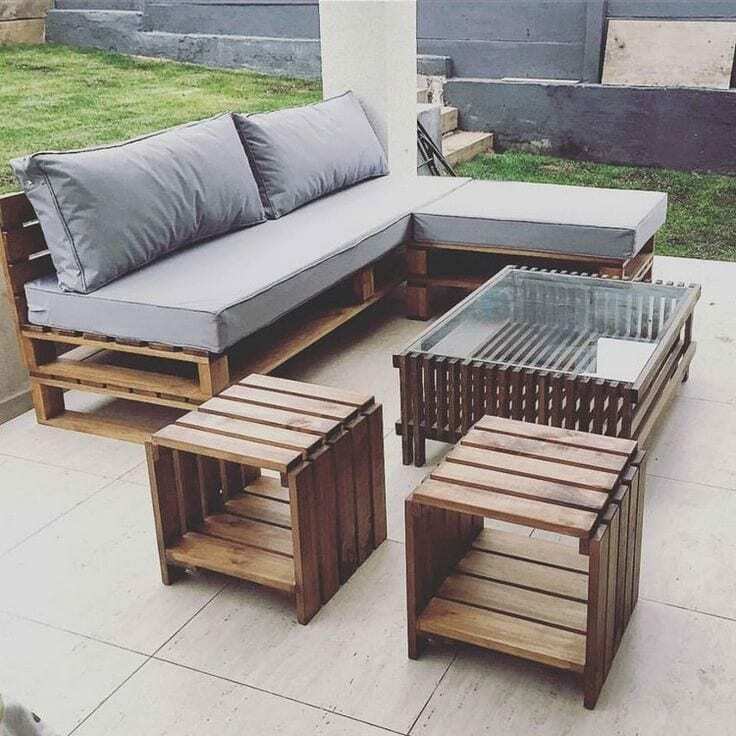 While I am offering ultimate solutions, let me also emphasize that the pallet outdoor furniture selection business is not a hopeless case. Somewhere, someplace online, a vast menu of items- cheap but with high quality, could actually satisfy your demands. Yes! There are. I am not saying there are none. The best thing that we, in this company can offer, are solutions. Alternative solutions. At the end of the day, your choice is the ultimate force. Nothing beats that. So, go on. You may or may not take our advice; it still does not hurt to hear us out! Hear me out! The summer is coming fast. Suppose you find yourself in a creative whirl, our alternative solution should come in handy! The solution is… drum rolls… Recycled goods! Yes! You are hearing it right. Such effort merely involves a dime a dozen resources but mind you- its output can be an ultimate winner! It can prove to be a super winner enough to beat even the freshest, newest items in the market. So, what do you think? Have you set your mind on this? 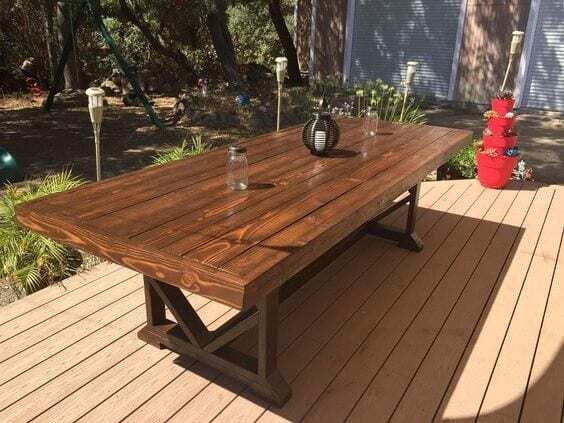 If we are hearing that as a go, then let us go on then with our best 10 pallet outdoor furniture DIY plans. I cannot imagine bearing through the summer without a book on hand and a calming free time at the porch, swinging and breathing in the warm summer air! With that, I also cannot picture out a person who does not know how to prepare a simple hammock or swing? And yeah, the concept of DIY cannot even begin to introduce the age-old craft of hammock/swing-making. Such action is as basic as sewing. So, you are most likely to push through this without outstanding challenges. The splendor basket swing may have come in various updates through time, but its essence still boils down to the basics of a swing. In this DIY case, all you will be needing is a mean metal ring. Miscellaneous materials include a fabric (preferably canvas), sewing materials and straps. See how simple that is? Why you are welcome. Ultimately, all these plus shy out as an understatement in front of the fact that completing such a project requires only a few minutes of your time! Now, that, I shall say, is gold! Other DIY tutorials offer varied options or approaches on how to stylize your swing. The DIY tutorials are sure to yield similar outputs from the pictures above. Some swing DIY projects utilize a trampoline as a base. Its general methods are nevertheless the same. 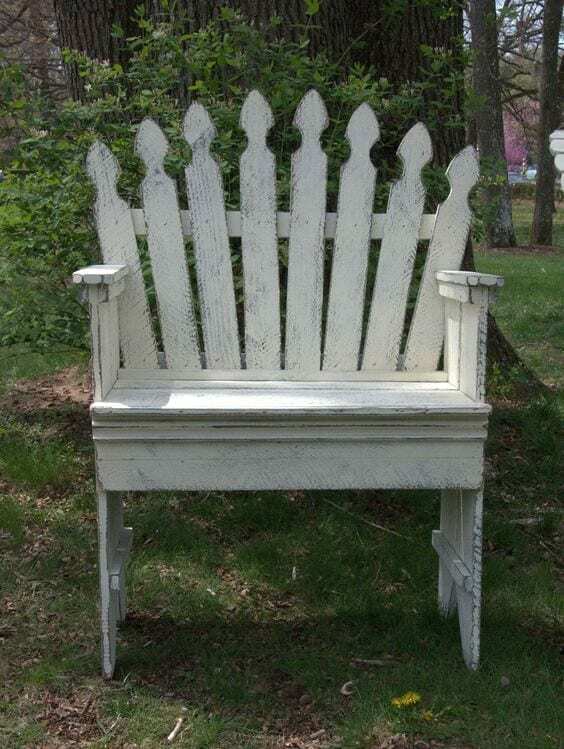 Whoever thought about the idea that two picket-fences can yield to a homey, brilliant and relaxing outdoor bench is a drop-dead mastermind. I just can't get over the fact at how simple the odds are to complete this highly-stylized bench. As to why I have not thought about this before is a certified mystery. But as to the sheer brilliance this project produces is an enigma. I mean, just look at the image! I am sure you are also dying there in your seats to know the secret. Well, all it needs are, as mentioned above, two fence boards, construction materials, cushions, paints (if you need to color it) and for the intangible, a fat idea on pallet design. Apparently, this project could go any simpler. Thus, the bulk of the DIY plan simply involves crossing the two picket-fences as leaning and sitting planes for the bench. Other simplistic alternatives for the boards are cedar decks. Cedarwoods are lighter compared to other wood types. With this alternative solution, expect a very convenient mobilization of the outdoor furniture. A great tone for your outdoor bench is the modern pick. I have tried this in my garden and voila, I was instantly charmed to conclude that all modern tones complement outdoor feels. What do you think? You can go for a rustic, modern or bare archetype and worry not of overtone problems. Cute, slick, pretty and candid. That is how I can best concisely describe the sectional furniture sets. While I do not consider it that much of a challenge, securing more than the average number of pallet woods still proves to be time-consuming though. That is why I prefer using recycled sets. After all, the pry bars can own up to the work in this case. Sectional furniture sets resemble more as mini-versions of larger furniture. These items are however lighter and more eye-friendly when assigned outdoor. Above all else, sectional furniture sets are easier to move around. In that line, I would recommend that you pair up smaller pallet wood sections to end up with lighter pieces. But, it is all up to you anyway. Hinging can be a daunting process for the novice builders. As per personal experience, I kept in touch with online information sites like Pinterest, Home NBC, Home Deco HQ and many other blogging sites. Fortunately for me, the sites were responsive enough such that I was able to get over the hinging process in no time. A dozen DIY tutorials online are eyed to hopefully introduce you into a more practical DIY effort involving only a saw, a drill, some exterior decking screws and used wood pallets. So, you are right to explore these options as grab these as golden opportunities. 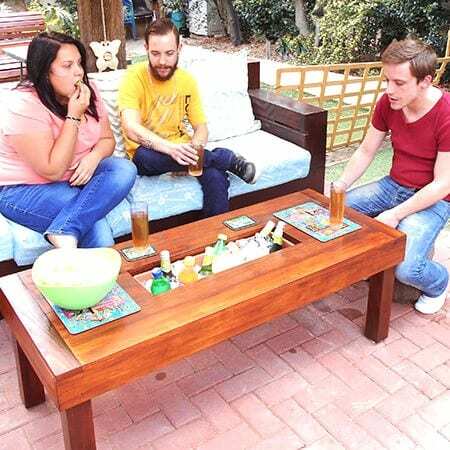 Another target output of these DIY methods is completing a 2x4 outdoor sectional cantina furniture. Speaking of simple efforts, this particular DIY goes as basic as counting. Why not? After all, it only involves reclaimed wood, nail guns, paints, concrete slab, more wood fillings, etc. The only distinct signature of the item is crossed wood pieces. More so, you can highly stylize from this one depending on your taste. 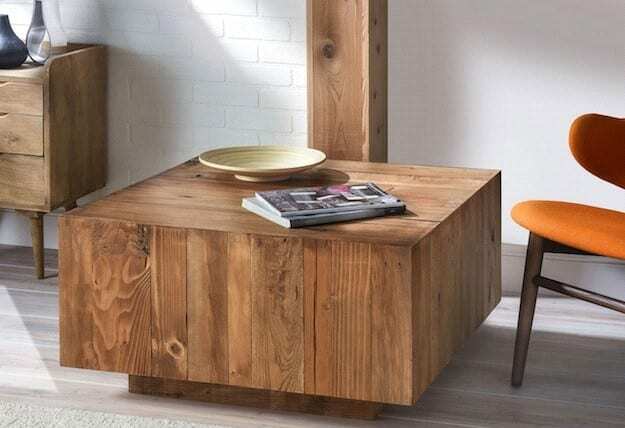 Once done, the item can be highly functional being either a side or end table. In the picture shown above, the table-top is made of concrete slab. The advantage of a concrete slab is a flat, smooth and sturdy surface. But that does not mean a wood top is any less smooth. As I mentioned before, the overall design is entirely dependent on your preferences. The physics behind an x-stool, in case you are wondering, is an equal distribution of weight across the table’s legs. In simpler terms, designing your side-table with an x-shaped base increases the item’s sustainability. The beauty of the x-stool is a cherry on top of a cake of benefits. Like in my case. Through continued usage, I was instantly able to compare the conveniences offered between the purchased x-stool and the DIY x-stool. My verdict: The DIY X-stool is more convenient, comfortable and easy to repair. The prospect of such item, due to its grandiose feel, seems questionable to me. But let me clear this out- I never thought that it cannot be done. Of course, it can. However, given the personalized/DIY effort, I thought that that should be expensive for such a commodity. I thought. But the moment I tried, I was glad to have been proven wrong. So, I am telling you- go on and try it now! 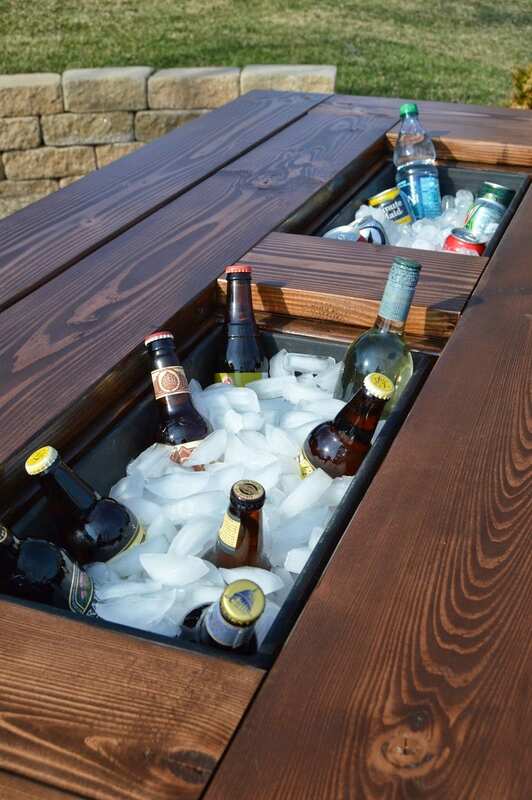 Most certainly, the patio table with built-in icebox should be a perfect summer getaway tool. I mean- who could ever question that? Do you have a poolside patio table with a wood top cover that you can easily slide in and out to reveal a cooler: does it not attract you? As per practicality and effort speed, you will be assured of a hundred-percent turnabout. In terms of expenses too, there is so much you can save from your pocket over this one. The secret there is “recycled goods”, baby! Some DIY tutorial methods of the poolside patio table with ice box can be quite tricky. But if you get the hang of it, you are good to go. To shape this tricky, yet ambitious woodwork project in your mind, you will have to be attentive to details. By all means, these tutorial methods are bound to convince you that this seemingly incredible item is practically doable and can actually function with optimum quality even with recycled wood. 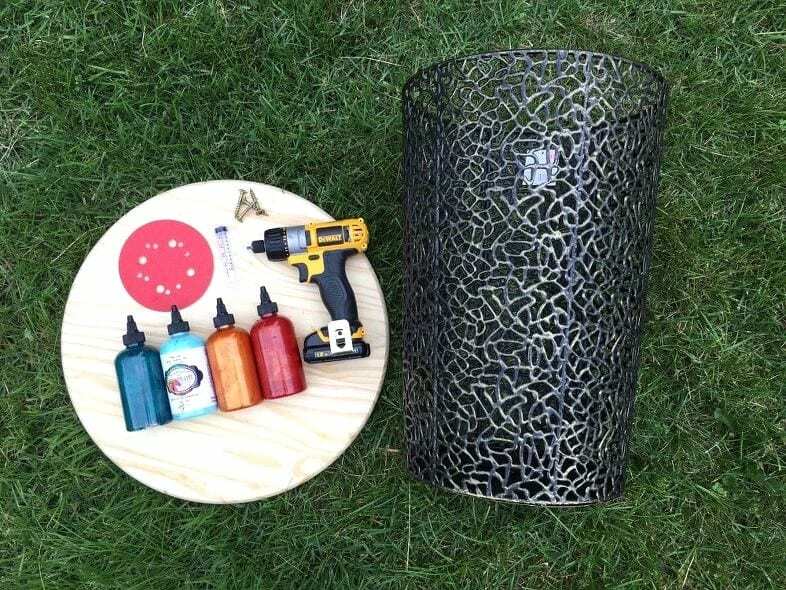 If you are looking for the fastest turnabout or construction finish of any DIY outdoor furniture, then you ought to put the painted wire basket table on top of your list. Nevertheless, this DIY project does not require power tools to be completed. All you have to have in your hands is a used metal basket, a flat wood or concrete slab and nails/staple wires. The construction method of this item is also pretty simple you can complete it no not more than 30 minutes. All it involves is setting the metal basket and then mounting the table top. You can use staple wires or nails in attaching the table top and leg base and, voila- you now have a super-side table! To put in your preferred touch and style, you can color up the metal basket. Suppose you are undecided as to which colors to select to match up to the summer heat, I recommend you pick colors green, blue, purple, white and other light colors. Although you may think of it as unsolicited, asking assistance online is highly necessary. In the case of this basket item, despite how simple its mechanics are, you still have to refer to tutorial guides. In fact, the road to success over this one to message blogging builders for the right metal basket qualities. The moment I first encountered the Tahitian-style chaise, I fell in love with it instantly. Who does not? Armed with a design angled to capture the feel of a resort in your backyard, you will definitely be aiming for more with this one. Highly easy to construct and stylize, the reclining chaise will answer to a lot of comfort and summer fun in your home. Cedarwood decks prove to be the highest-recommended material for construction due to the reason that it is highly durable and that it can last for many seasons more. By all means, you can paint the chaise with your favorite colors. However, if you ask me, I would go for a varnished type as finishes like this appear to be more natural-looking and lighter to the eyes. 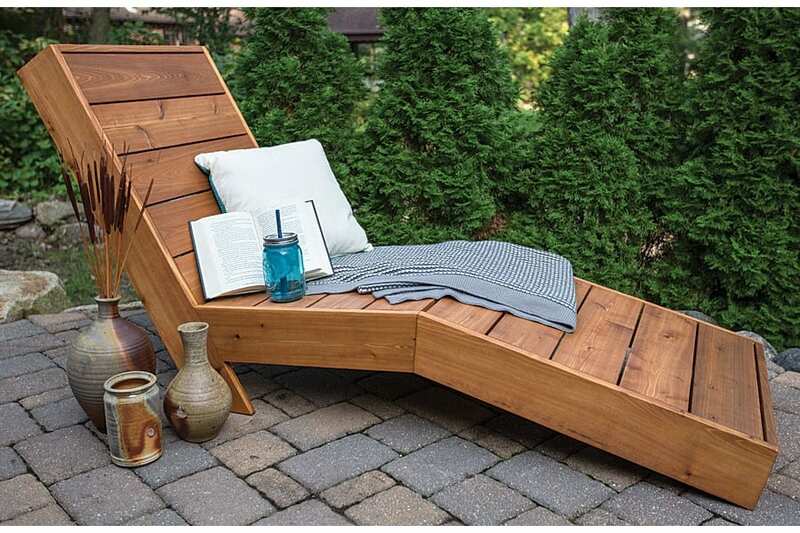 The tilt features of this DIY outdoor reclining chaise can be modified to great comforts. In fact, you can even maximize its usage capacity to two persons. You can further beautify this with canvass materials, used pillowcases and of course, pillows. By all means, you can absolutely do anything with the chaise device. Also known as a lounge chair, the Tahitian-style reclining chaise is easy to build. More and more DIY tutorials are being published online to cater to your need for references. The more you jot in DIY references, the more your perspective on chaise construction widens. Is it a block? Yes. And, it is also a chair! Consider that! The cubicle wooden block chair ranks among the most simplistic DIY projects. And why do you need to have it? 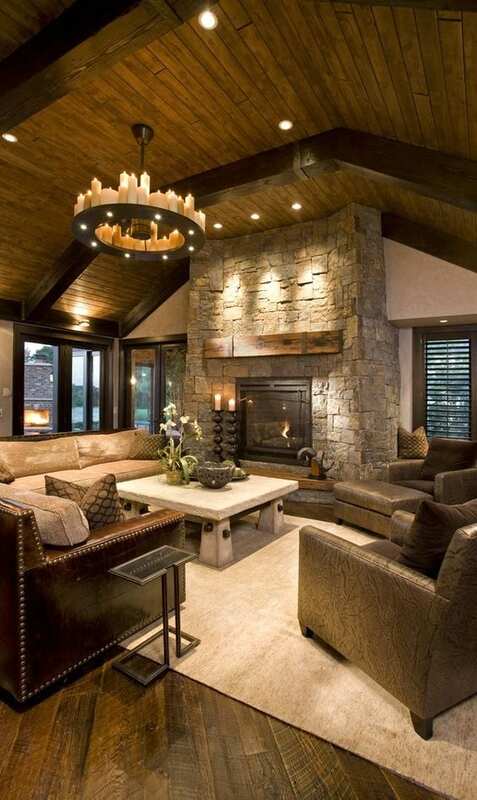 Well, wooden block chairs effectively perform as accents to your modern, rustic design. Add it with some top cushions and voila- a perfect outdoor furniture décor! The outdoor wooden block/chair is a total convenience. It adds up to the totality of your outdoor space. But its most efficient performance yet is giving the furniture set a neutral look. As I mentioned before, wooden blocks blend and give accent to the full-bodied feel of the other solid furniture sets. Due to the high demand of the wooden block chair, numerous DIY pages are now dedicating fat arrays of how-to tutorial entries in their contents, enriching their search engine portals. Access to these portals, I dare say, shall provide you the best construction options available. The wooden block chairs can be completed under simple DIY methods. This simplistic device is bound to give you full access to money-less construction options. I recommend that you go over the pre-construction details again and again before finally proceeding to construction formal. Like many swings, this DIY output is easy to construct and is highly comfortable. Its distinct feature sets it apart from the rest of the hammock/swing types. It is uniquely a chair-oriented swing that proves to be conducive for reading. Kids and adults are bound to enjoy the comfort of this swing. Also, this type of swing can fit well in both indoor and outdoor landscapes. 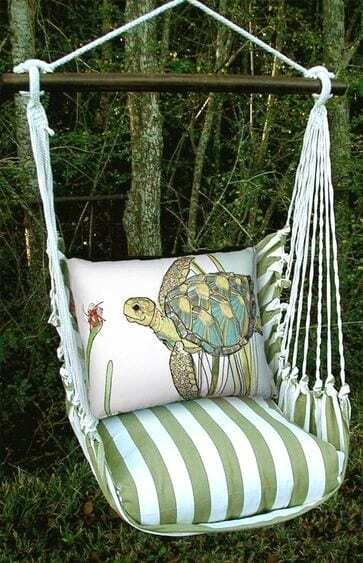 Here is another swing chair design by Rachel Denbow at HGTV site. You can take this as a reference on designing your swing chair style. Many new builders refer to the HGTV site for practical construction simulation. You will also learn through this link how to easily tie a knot using a mud cloth and not even spend a drop of sweat. Sailor swings of this type are highly collapsible that you can set it up anywhere and anytime on your preference. Indoor, you can easily tie up the device’s strap ends to sturdy beams in your living room. You can add in cushions to double-up the comfort. Your kids are sure to enjoy great reading moments on the swing. A few good giggles will already tell how comfortable your DIY sailor swing chair is! I tried it and so you should too. In one DIY project, for example, non-conventional materials are being utilized. 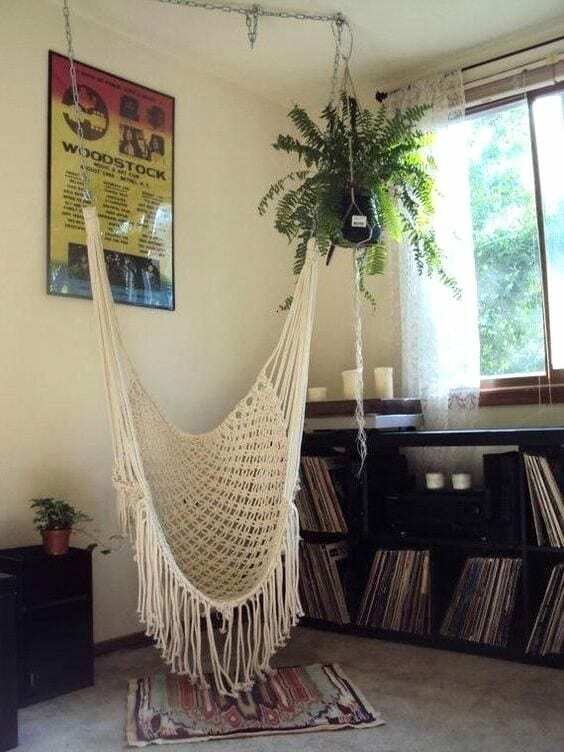 Other projects feature what modern designers would classify as a Boho Macrame swing chair. No worries- they all resemble the same forms. The only distinctions these swings foster in are their signature colors, strap and cushion types. Who says you cannot construct your own dining table? Of course, you can! Is it expensive? No. In fact, you can even build one for free. Just be sure to get a hand of used wood decks and blocks and you are sure to go! If this type of table looked easy to you, well, prepare to be awe-struck because it proves to be easier when assembled. Indeed! You are hearing it right! All you need to master in this case is the lap joints or x-leg crossing technique. With that etched in your masterful brain, you can actually come up with numerous items in just a day or two. 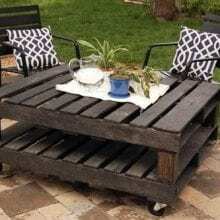 These 10 pallets outdoor furniture DIY plans not only lighten up the load but also adds so much fun. The process involved here is way enjoyable and rewarding than anyone could expect. There is so much that you can do with your personal tables. By all means, you can try everything you want. DIY plans of these types are to be taken in with a good dose of preparation too. You need full commitment in doing this. You will have to be prepared body and soul. In short, you still have to invest. After all, reaping will immediately follow. 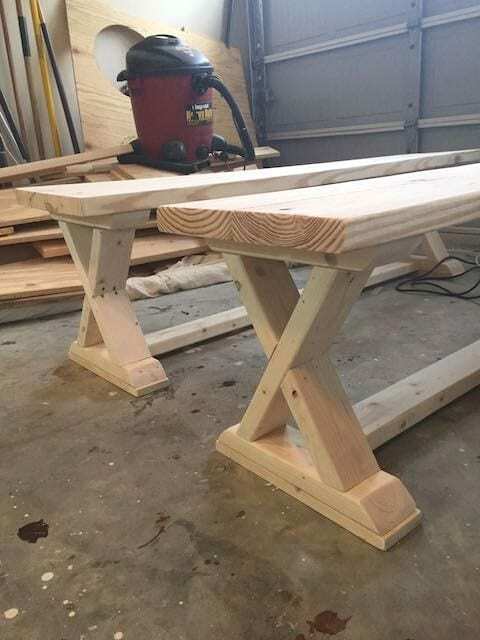 All-in-all, an important principle in the whole outdoor furniture endeavor is to master a good woodworking craft/skill. What do you think of the DIY plans we have shared? Do you agree or do you not agree? Tell us what you think in the comment section below.